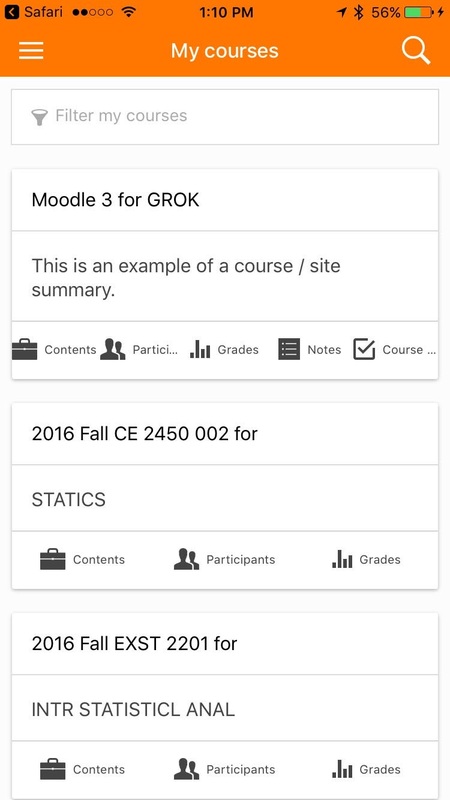 Moodle 3 has a mobile interface designed for students to view courses on their tablet or mobile device. You will automatically be directed to the mobile version of Moodle. 1. 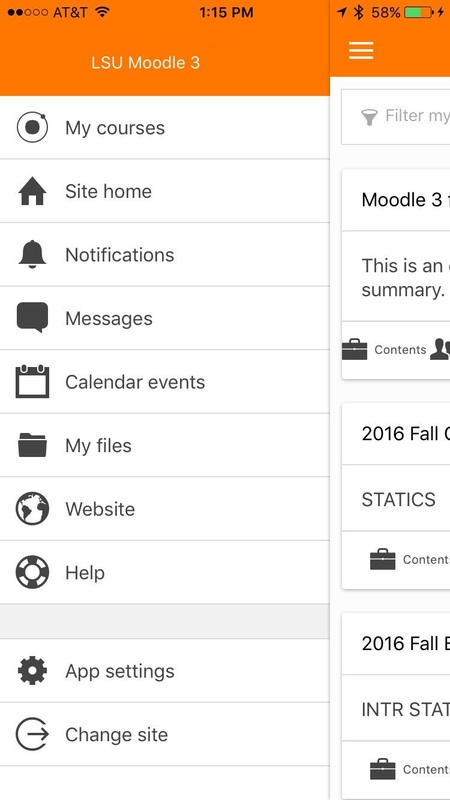 Login to Moodle 3 on your tablet or mobile device. 2. Tap the course that you would like to view. Student Home Menu- Open the menu by clicking the Menu button in the top left corner of the screen. This is where the user can access all the classes he/she is currently enrolled in. Click on this to see information pertaining to the website. All the Moodle notifications you recieve can be viewed here. All the Moodle Messages you recieve can be viewed here. Any upcoming events on your moodle calendar will be shown here. Any files that are associated with your moodle page will be stored here. This is a direct link to the Moodle Website. This is a direct link to the Moodle support webpage so you can find assistanvce with using moodle. This is where the user can go to edit profile, security, and message settings. Also, a user can change blog preferences as well. This allows you to change which moodle account you are using for the app. Brings up a list of the topics of the course that you can view by clicking. Opens a list of the other moodle users enrolled in the same course. Brings up the grade menu for the course. Opens the Notes menu for the course.